It’s vacation 2016 and at the moment I’m relaxing in the yard alongside the two dogs and enjoying a coffee. The rest of the crew is off enjoying the beach while I’m enjoying a book, the quiet, and the summer breeze off the lake. It is a good day indeed. If you read any of my posts about the different wineries here or here last year, you know that we are on a quest to hit all of the wineries in the County-eventually. It’s a hard job and we are sorely unqualified as any kind of experts, but I’m determined to see this mission through. More than anything, I’m fascinated by the work of it all that leads to on eventual product. Just about every place I go, I learn a bit more and I’ve decided that I’ve got a lot of respect for anyone willing and able to take the grapes from the vine to the tasting table, and then navigate a way to market and sell the literal fruits of their labor. 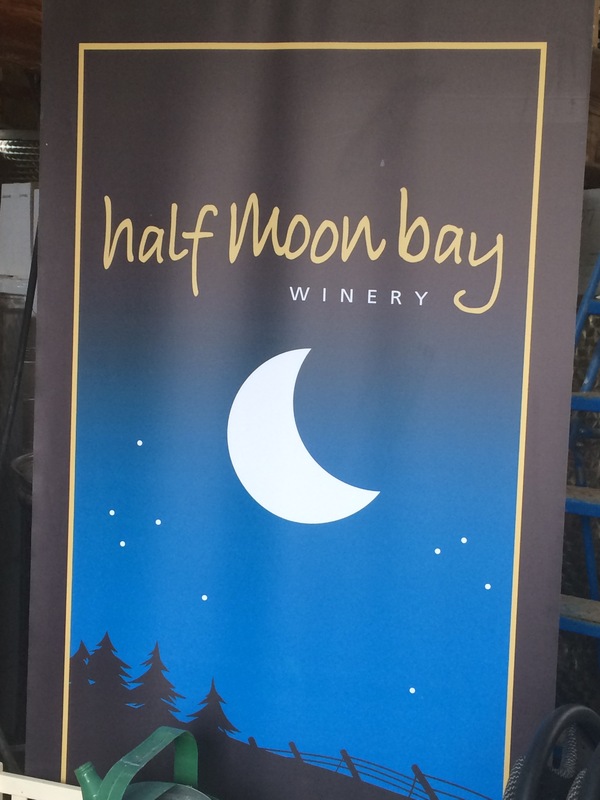 So far this trip we have visited Half Moon Bay winery and the Long Dog winery, both different, both new to me although my husband has been to Half Moon Bay before and liked it. Our first stop was HMB and they had a Chardonnay, a Riesling, and a Merlot open for tasting. My favorite was the Riesling but I was outvoted by my husband and daughter and we bought the Chardonnay to take home. We also grabbed a merlot and it went over well with a bit of cheese from the Black River cheese factory at the end of the day. While at HMB we picked up a map of the county and the owner kindly pointed out a few other places to consider stopping on his side of the county. He talked a bit as well about the weather differences between one side of the county to the next which of course effects which grapes grow best in different areas because the growing season is slightly different. We had a picnic lunch at the Mariners Museum which was closed but still had lots of neat things to explore. We’ve visited a few times over the years with family and it’s a great diversion when you’re tired of sand. 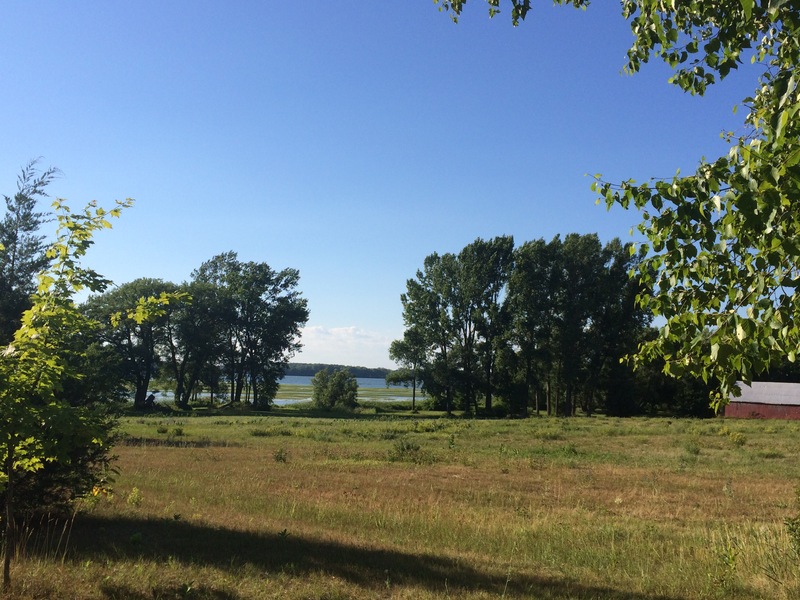 After that we visited Little Bluff Conservation Area and walked the trail down to the stone beach. The boys had a stone skipping competition and just enjoyed the cool water. There is a tick warning for the area but we checked diligently and were clear. Black River cheese! Yes! Love their products, we swung by and picked up some honey, wine soaked, and spicy peppered cheese to enjoy when we get home. Heading back we stopped at Long Dog winery, a winery that’s been in operation since the late nineties. I only say that because the owner looked much younger than he should have to have been making wine for approaching twenty years as a successful second career. Must be something in the grapes. 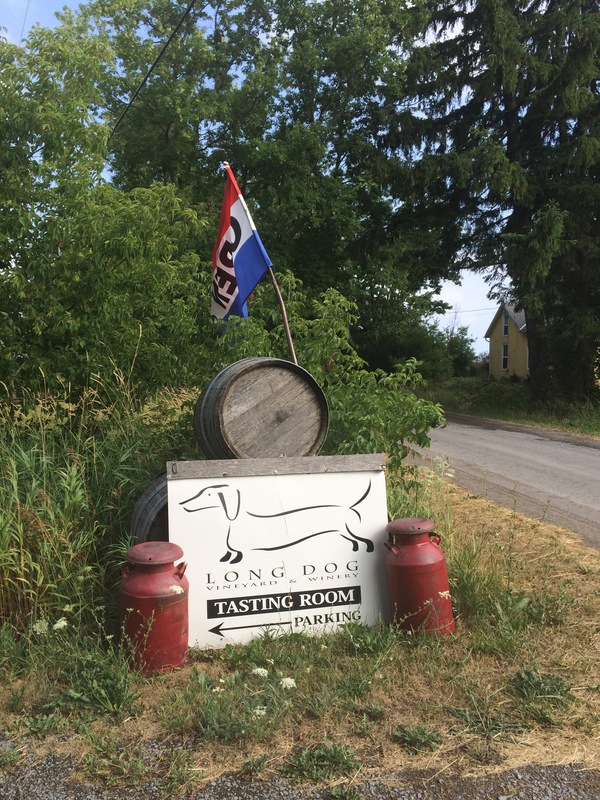 At Long Dog (I didn’t actually see any long dogs, I kept an eye out as I was hoping) they had wine from different vintages and we were able to taste them together as a comparison. Same vines, different year (vintage), if I remember correctly, he called it a linear tasting. We had two whites from consecutive years, and two reds with a one year space between them. Mind blown. I knew that weather makes a difference on the harvest, but wow, they smelled different, they tasted different, all really good. It was a very cool experience and I appreciated the ad hoc lesson. We brought home one chardonnay, I forget which vintage, but we will definitely be going back for more. We didn’t make it to any of the wineries today, but I’ve got some pear cider from County Cider company in the fridge for later. I’ve been told that Hinterland has a cider now so that is on my to do list. While this is the longest trip of the summer, we are planning a few more trips over the next while to check out some of our favorites and to find new ones. I would be remiss if I didn’t mention some of my other favorites this trip: Miss Lily’s Coffee Shop which is connected to a bookstore with the awesomest arrangement of puzzles along with new a used books. The name of the bookstore escapes me in this moment, but a lovely way to pass an hour or so between these two places. As an aside I’m also a long time fan of the Bean Counter Cafe, and they have gelato. Kingston Olive Oil company has a store in Picton where you can sample different infused oils and vinegars and pair them as well. My favorite was the wild mushroom and sage oil, it’s going to go divinely with some home made pasta this fall, but we also tasted a blood orange oil with chocolate infused balsamic vinegar. So good. All in, these are our adventures to date. Will keep you posted! Sounds fun! Any idea why it’s called Long Dog? No idea, assuming they had a daschund at some point. We just moved to The County a month ago and will be on a similar mission of trying out some of the wineries! Will love to read your posts. Thanks for sharing. How exciting for you! So much to see and experience. You’ll be the expert in no time!